Welcome to The Clothes Spin of Madison Heights! 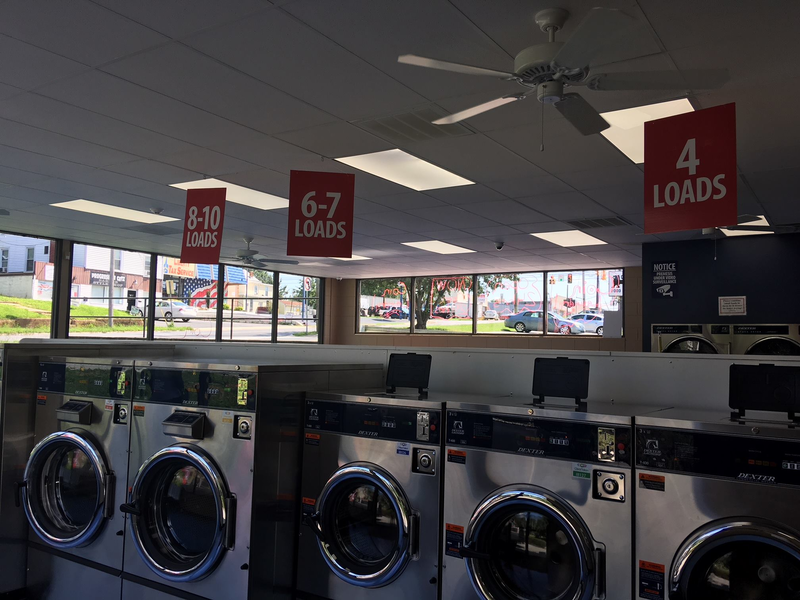 NOT YOUR TYPICAL LAUNDROMAT Serving our friends, only 4 miles away from Madison Heights’ as your brand new neighborhood laundromat. An eco-friendly laundromat with all new energy and water efficient machines ranging from single to 8 load. All your laundry needs. Owners mission in creating The Clothes Spin laundromat was to create a different kind of laundromat. Born from their experience of using old, badly maintained and unreliable washing machines, they knew that making the laundromat experience enjoyable again would be a great business idea. They reimagined a laundromat designed to be a clean and comfortable space to do your laundry. TAKING THE CHORE OUT OF DOING LAUNDRY With over 28 all new energy and water efficient front loading machines along with an App system (Clear Token) that takes the work out of getting coins and tracks your usage for free washes. When you have a pile of dirty clothes, but not a pile of time we offer quick and professional washer/dryer service. We know that clean clothing is necessary so we aim to make the process as easy as possible.